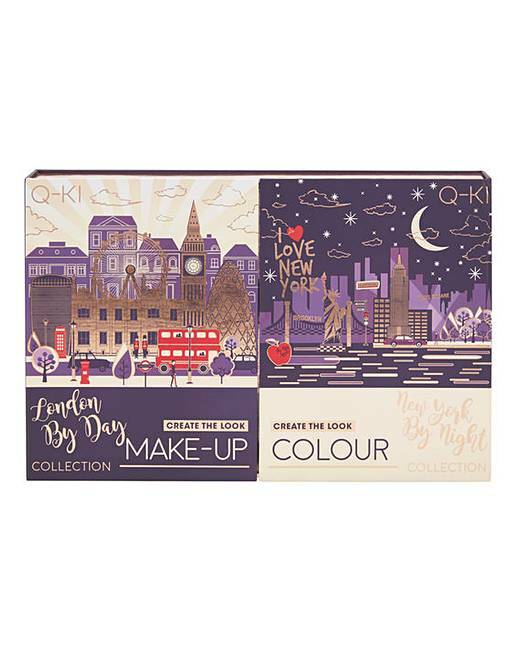 Q-KI London By Day, New York By Night Professional Make Up Collection. 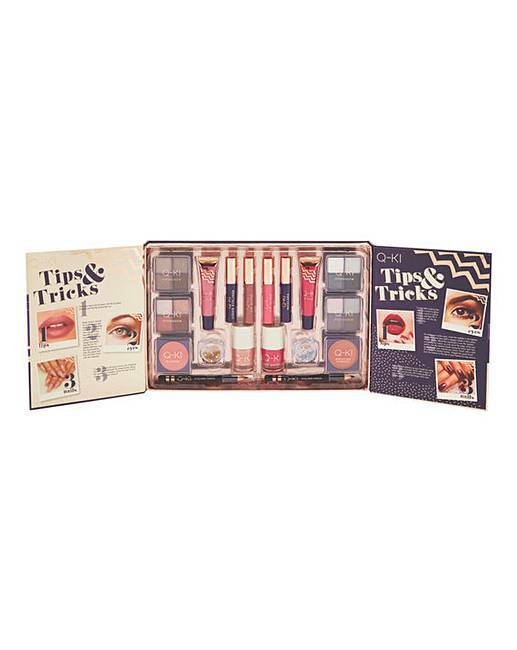 Create stunning day and night time looks with this make up collection from Q-KI. Includes handy tips and tricks for flawless application. Gift Set contains: 4x Eyeshadow Quads, Mascara, Liquid Eyeliner, 2x Eyeliner Pencils, 2x Lip Gloss Wands, 2x Lip Gloss Tubes, Blusher, Bronzing Powder, 2x Nail Polish, 2x Glitter Pots.